Making your wishes come true since 2018, this platform is from the same company that created Highroller Casino. Boasting a live dealer lobby that’s packed with the best games out there, the Wishmaker live casino has left no stone unturned. Thanks to some neat designs and smart partnerships, it's one of the rising stars in the online gaming industry. Wishmaker is an instant-play platform that will bend and shape to any screen size so you can load live blackjack, roulette and more via any device. Whether it’s a PC, Mac, iPhone, Android or tablet, Wishmaker’s platform has been optimised for all settings. In tandem with its in-house software, this operator has partnered with Evolution and NetEnt. Regarded as two of the leading live casino developers, these companies not only put out HD-quality streams, but games that can also work on any device. You can enjoy an immersive casino experience whenever, wherever and however you want. The Wishmaker casino doesn’t have a mobile app, which is disappointing as in today’s gaming world, mobile apps are seen as a standard. However, as we've mentioned, the site has been optimised to work on all devices. Also, it's still young, so there’s plenty of time for the developers to work on this. Of all the live online casinos we’ve reviewed, Wishmaker has one of the best designs out there. Firstly, we know the interface will resize in line with your browsing window. Beyond that, the feature that really impressed us was the layout of the lobby. The standard MO for most sites is to lump together all their live games under one umbrella. However, the Wishmaker live online casino subdivides things. For example, if you want to know what the top-rated games are, there’s a tab for that. If roulette is your thing, skip to that tab. If you want easy access to the games you enjoy, this site is ideal. Another feature we loved was the reality check option. Each time you load up a game, a pop-up will ask you how long you’d like the reality check intervals to be: 15, 30 or 60 minutes. Whichever option you choose, an alert will appear at the appropriate time and let you know how long you’ve been playing. For those trying to manage their sessions, this tool is invaluable. It also helps improve your focus by segmenting your sessions which, in turn, can lead to better results and a more enjoyable experience. When you find a game you like, Wishmaker allows you to hit the heart button and save it to your account – and Wishmaker has stocked its live lobby with plenty of games. The best way to describe the gaming lobby is that it’s a combination of quality and quantity. You’ll find 35 different live dealer games divided into the following categories: roulette, blackjack, baccarat, casino poker and Dream Catcher. Within each category, you’ll find low-stakes options with bets starting at 0.10 credits, as well as VIP games with limits topping 1,000+ credits per round. The other reason Wishmaker represents quantity and quality is the fact it offers non-standard variants. Naturally, all the standard formats are available. However, where this site goes beyond the norm is by offering games like Blackjack Party, Baccarat Controlled Squeeze and Double Ball Roulette. Although there aren’t any specific live casino bonuses, Wishmaker has a great selection of bonuses and promotions. When you make your first deposit, you’ll receive a 100% bonus up to 200 credits plus 50 free spins. The playthrough on this is 35x, which is below the industry standard. Beyond the welcome reward, you’ll receive gems each time you play for real money. As you collect Lucky Gems, you’ll be able to progress through a long line of exclusive rewards. The Wish Factory also gives everything from free spins to reload bonuses when you collect Wishcoins. In many respects, this is Wishmaker’s novel take on VIP schemes. However, it’s less serious and rigorous. That, for us, makes it more accessible for casual players and more entertaining. 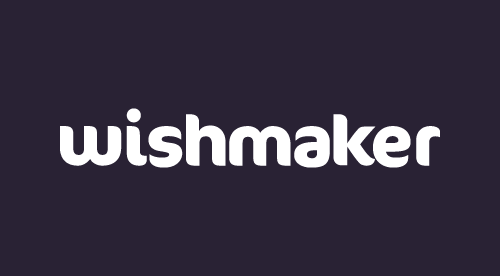 When you need a helping hand, Wishmaker has a live chat option as well as an internal messaging system. The only shortcoming we found was the lack of telephone support. To make deposits and withdrawals, you’ll need to meet the minimum limit of 10 credits. Assuming you do that, there are no fees either way and your withdrawals will be processed instantly when you use Visa, Neteller, Skrill, Euteller, Paysafecard, EcoPayz and Trustly. Wishmaker is a fantastic place to play if you enjoy live casino games. Despite being one of the youngest platforms out there, the developers have done everything right. From optimising the interface to choosing the best games and arranging them in an intuitive way, there are very few weaknesses. Naturally, things aren’t perfect. The welcome bonus could be slightly larger and it would be good to see some Microgaming tables added to the mix. However, those points aside, this is a great site that should satisfy live casino fans.